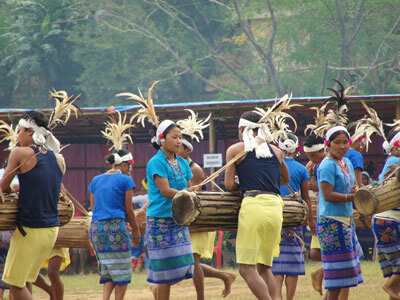 The annual festival of Wangala is celebrated in a different non Christian village every year. 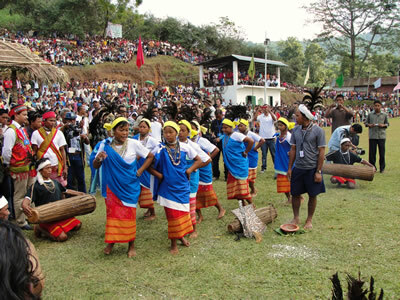 In 2010 it was held in Asananc. 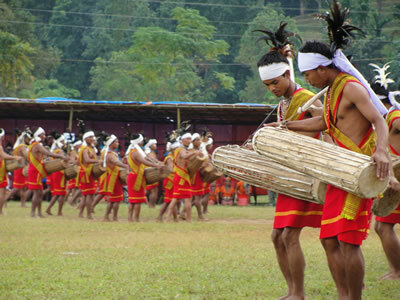 Also known as the festival of one hundred drums, it is based on original Garo tribal dance and rhythm. 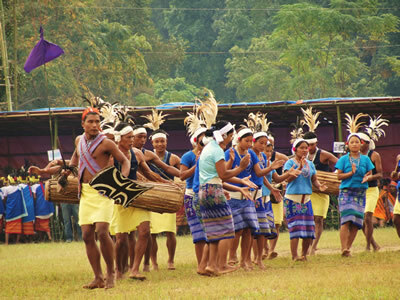 It is very popular and folk travel from all over the Garo hills and beyond to either watch or partake. It also attracts the media. We all went and spent the day with them. Here are some photos and a few clips of video. 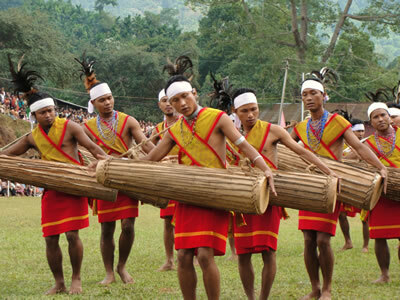 The festival is to mark the end of the agricultural year and dedicated to the sun God Salong, or Misi Saljong(the great giver) It generally lasts for two days the first day being held in the chiefs (Nokma) house, and is called ragula. It is a time of burning incense. 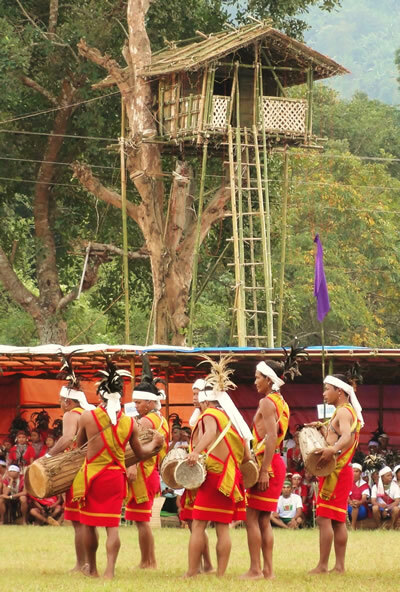 The second as an open ceremony called the Kakkat. 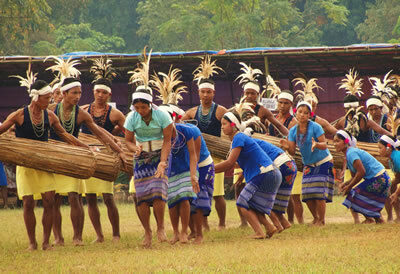 Traditional wooden (Dama) drums are used. The traditional flute is made from buffalo horn. 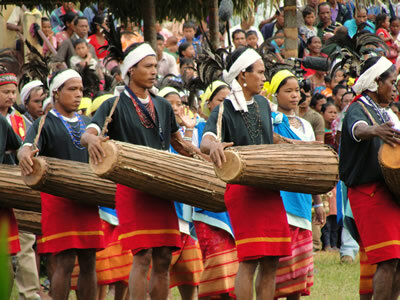 Groups from the two main other tribes within the region and North Bangladeshthe, the Jaintia and the Khasi also join in. 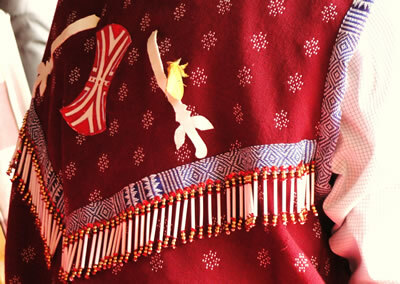 The continuation of the event promotes and preserves the ancient Garo culture.